Royal baby names: What are the favourite name choices for William and Kate’s third child? 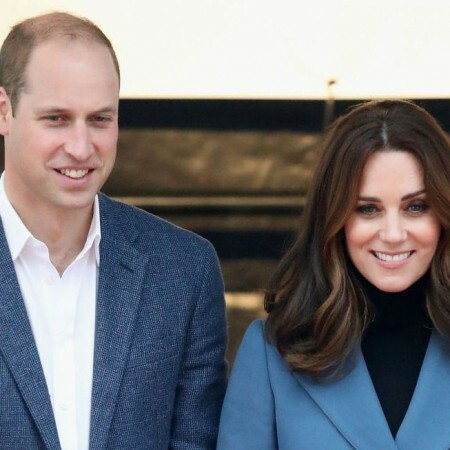 Ever since Kensington Palace announced the news that the Duke and Duchess of Cambridge were expecting their third child, bookmakers have been taking bets on what the new prince or princess might be called. According to Office for National Statistics data for 2016, Oliver was the most popular name for a boy and Olivia for a girl. However, when it comes to the favourites for William and Kate’s baby, names with a royal precedent are among the most popular predictions. And while the gender remains unknown, the betting suggests that girls’ names are the most fancied. So, which names are in the running? A number of bookmakers have rated Alice as the most likely name for royal baby number three, overtaking Mary, which has previously been a favourite. (Paddy Power has cut the odds from 12/1 to 4/1). According to the ONS data, Alice was the 17th most popular girls’ name in the UK. Meaning ‘noble’ and ‘light,’ there’s also some family precedent. Princess Alice, Duchess of Gloucester was the Queen’s last surviving aunt and she became the oldest member of the royal family when she turned 100 on Christmas Day in 2001. In 1843, Queen Victoria named her third daughter Princess Alice Maud Mary. According to bookmaker William Hill, Mary is the hot favourite at at 3/1. It has been a popular name in the UK for centuries, although it didn’t make the most recent ONS top 100 list. However, as points out, it could be a likely contender, given that it has “been the name of more queen regnants in the British Isles than any other”. Mary I was the first woman to rule in England after the death of her brother, Edward VI. Other famous royal Marys include Mary Queen of Scots, who took the throne when she was just six days old in 1542. In more recent history, the Queen’s grandmother was a Queen Mary. It’s also one of Elizabeth II’s middle names. At 8-1, Victoria is the third favourite choice at the bookmakers. The Latin word for ‘victory,’ it would be a fitting tribute to one of history’s most iconic monarchs. However, ranked in 91st place in the ONS list, recent data suggests it has fallen out of favour in recent years. Elizabeth was a favoured prediction during the Duchess of Cambridge’s previous pregnancies. Given the long-standing popularity of this name, and the history it has in the royal family, it’s no surprise to see it’s a strong contender once again, with William Hill offering odds of 12/1. However, it’s worth noting that the Duke of Cambridge already gave a nod to his grandmother when Princess Charlotte was born. Her middle names are Elizabeth Diana. It’s also Kate’s middle name. Other fancied options in the betting for girls’ names are Alexandra and Grace, with bookmakers offering 16/1 on these monikers. Alexandra is the first of Queen’s middle names and is also the name of the Queen’s first cousin. A favourite baby name in the UK, Grace frequently features in the top 20 most popular names for girls lists. Princess of Monaco, Grace Kelly, is perhaps the most famous Grace in recent history. When it comes to boys’ names, the shortest odds are on Albert or Arthur. At 12/1 at Coral, both would follow the recent trend for “vintage” names making a resurgence. There are, of course, strong family links too. Arthur is a middle name for both Prince William and Prince Charles, while Albert would pay tribute to Queen Victoria’s husband. Next in the betting for boys names is Philip, with many predicting that Prince William will name his third child after his 96-year-old grandfather. It’s joint at 16/1 with Frederick – a Germanic name said to mean ‘peaceful ruler’ – and James, the 12th most popular boys name in the UK in 2016. There have been two British kings with the name James. The odds on this name vary (from 8/1 to 25/1), but given that it would be a nod to Prince Harry, it’s thought to be a reasonable contender. It was the 15th most popular boys name in 2016, although Harry has recently been the most favoured of the two. This 20/1 shout is the first of Prince George’s middle names, so it’s up for debate whether William and Kate will chose it again. Still, this name of Greek origin was given to three Scottish kings, not forgetting Alexander the Great, who is often referred to as one of the most influential people in history. It’s one of the most popular names for kings, but the bookmakers odds of 33/1 suggest it’s not among the favourites. The Queen chose it for her youngest son, Prince Edward, and as a middle name for her third child, Prince Andrew. Daniel, David, Joseph, Jack and Jacob are among the 50/1 outsiders in the betting on boys names at Coral. For girls, Florence, Helena, Sophia and Rose are at 50/1, while Georgina, Louise, Ella and Emma are at 100/1.